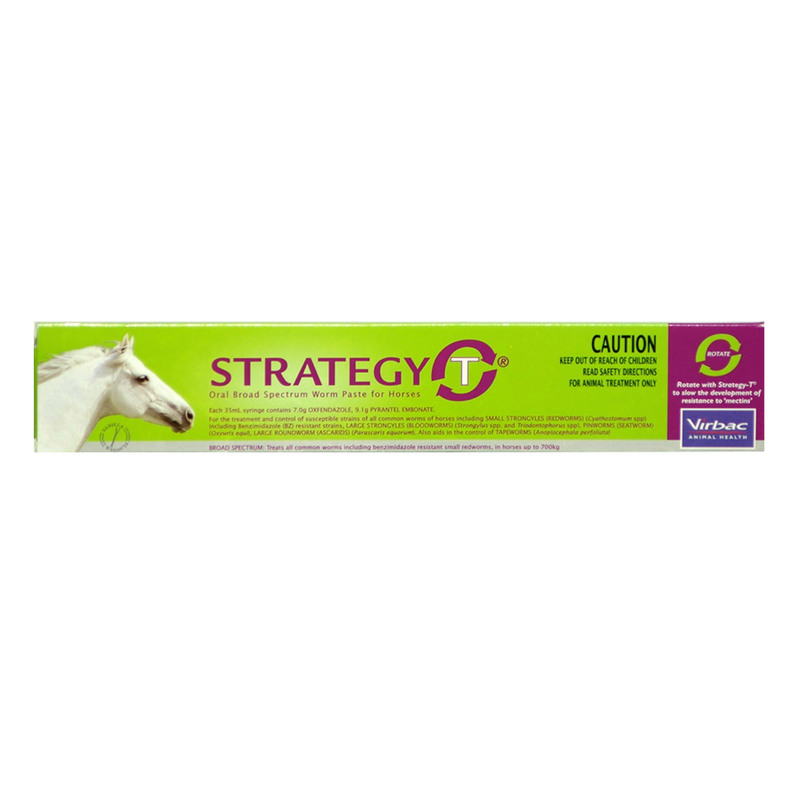 Virbac Strategy-T Paste is a horse worming paste for treating worms. The broad spectrum wormer treats common worms of horses including large strongyles, small strongyles, ascarids, pinworms and tapeworms. It is safe for use in foals, pregnant mares and breeding stallions. Administer 1mL per 20kg body weight or 1 syringe per 700kg horse. Each weight marker on the plunger will deliver 5mL of paste sufficient to treat 100kg body weight. Remove cap, turn the ring to required dose. Place nozzle into a side of mouth and deposit dose as far back over the tongue as possible. Raise horse's head for a few seconds after dosing to ensure dose has been swallowed. An effective paste that helped me treat long strongyles in my two horses. I would certainly recommend this product.